I’ve been playing around with vegan baking lately as I would like to create food that more people can enjoy. The phenomena has increased worldwide as far as the States where in Brooklyn an entire bakery makes gluten-free and some vegan goods. Vegan baking can actually be surprisingly simple! 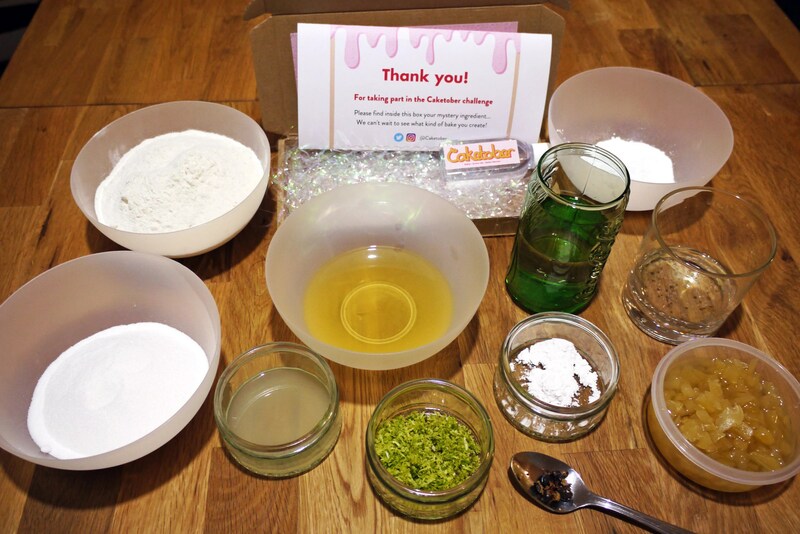 Using fizzy or sparkling water is a good way of adding air into the batter when you don’t have whipped eggs, and with Forever Manchester providing gin as my secret ingredient, I knew I wanted to make this a vegan bake by replacing the water with tonic instead. Not keen on tonic? Just add fizzy water instead! Hoxton Gin contains notes of coconut and grapefruit with some ginger and tarragon. I’ve added lime to the dough, because what good is a gin and tonic without some lime? I’ve also added stem ginger as I really love ginger and felt this would complement the flavours of the Hoxton Gin, but you are free to skip this ingredient in your own bake. 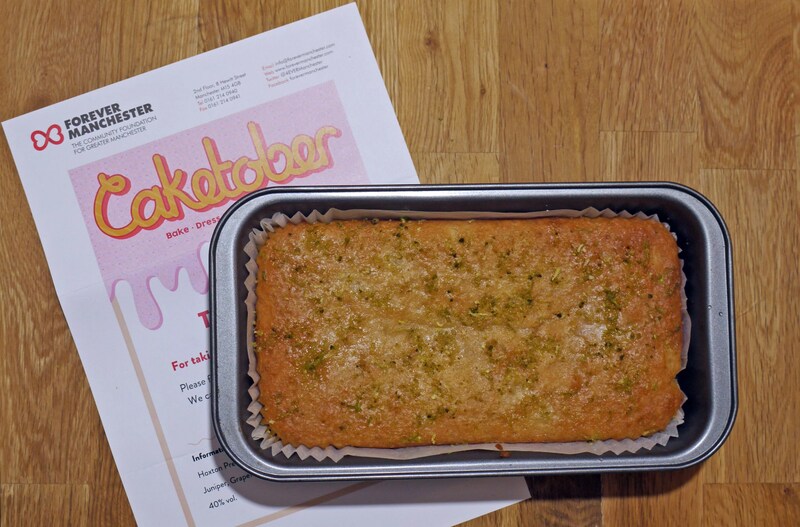 I’d like to thank Forever Manchester for Caketober and giving me the opportunity to bake something new and fun! Preheat the oven to 200°C/180°C fan/400°F/Gas mark 6. Grease and line a loaf tin. Sift together the flour, baking powder, then add the zest from 1½ limes and the crushed juniper berries if using. In another bowl, mix together the vegetable oil, tonic water and lime juice. Add the wet ingredients to the dry ingredients. Mix thoroughly. Add the stem ginger to the bowl if using. Pour the mixture into the lined loaf tin and bake in the oven for 30 minutes, or until a skewer comes out clean. Once the cake is out of the oven, leave to cool for 10 minutes. Whilst the cake is cooling, make the syrup by combining the gin, tonic and caster sugar together. Poke holes into the cake using a skewer. This allows the syrup to flavour the inside of the cake. Pour the syrup over the cake. See the notes for how to make a crispier top! If using icing, make sure the cake is cool, then sift the icing sugar and add the gin. Pour over the cake. Decorate with the remaining zest. If you like a crispier crust to your cake, bake again in the oven after pouring the syrup at 160°C/140°C fan/325°F/Gas mark 3 for at least another 10 minutes or longer depending on taste.